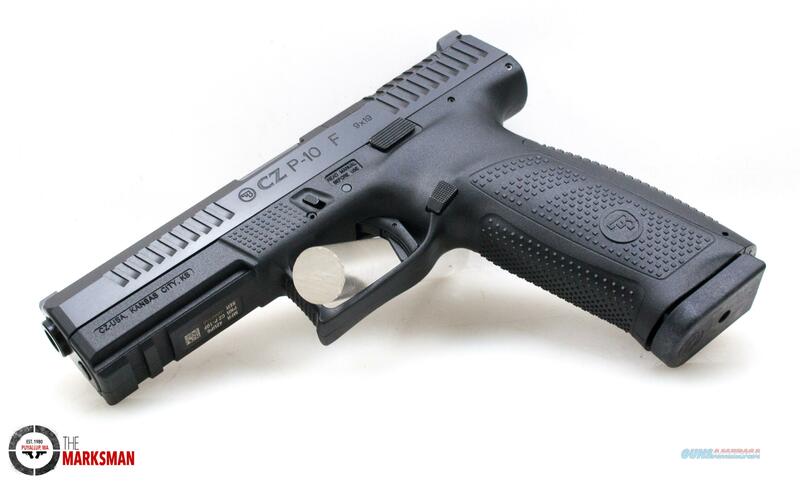 Description: For sale: One (1) new in box CZ P-10 Full Size Optics Ready, 9mm. This pistol has a 4.5" barrel, one dot tritium front sight, serrated black blade rear sight, two 19 round magazines, ambidextrous slide release, reversible magazine release, three interchangeable backstraps, factory plastic case, manual and factory paperwork. This P-10 has the slide that had been cut for optics and comes with the blank filler plate.